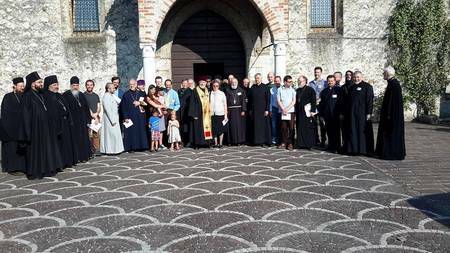 Register Log In www.byzcath.org Forums The Christian East & West Why is "Uniate" offensive? I've come across both Orthodox and RC's who tend to use "Uniate" quite nonchalantly. How would you explain to someone why "Uniate" is not a good way to refer to EC's? (Recently, I wrote a letter to a Ukrainian paper in response to an earlier letter by the Chancellor of the Ukrainian Orthodox Church of Canada for using the term "Uniate" - I think they're going to come after me for that, so please share your thoughts ASAP! ). For one thing, it is incorrect. The term doesn't apply, even pejoratively to most of the Eastern Churches (e.g. Syriac, Chaldean, Maronite, Malankara, Malabar, Armenian, Copt, etc). Use of the Word "Uniate"
Question: I find the continual use of "Uniate" strange. In the US it is looked upon as a demeaning slur. In fact the Greek Orthodox Bishop of Pittsburgh, Maximus has stoped those publicly asking questions or making statements using "Uniate", to ask them to apologise to those in the audience they may have offended before continuing. I trust this is only a language difference between US and Canadian English. I hope it isn't becouse using "Greaco-Catholic" is more time consuming to use than "Uniate". Answer: As a Ukrainian Catholic, I don't know why the word "Uniate" or "Greaco-Uniate" would be offensive to anyone. It is, in fact, the earliest name for those members of the Orthodox Church who came into union with Rome at the Union of Brest in 1596. There are publications dating from that time that (proudly) use that term. Another early name for us then was "Orthodox in union with Rome" or "Orthodox Uniate." Throughout our evolution as a Church, our name changed and developed. The Austro-Hungarian Empire preferred the term "Greaco-Catholic" and this is in vogue today among Ukrainian Catholics of the Byzantine Rite in Ukraine. What is in a name? Well, spiritual identity for one thing. We need a name that underscores our Byzantine Rite and heritage. The Byzantine Catholics have done a marvellous job in this department and I wish that Ukrainian Catholics could follow suit. The fact that "Uniate" has taken on a pejorative term is not only something that derives from certain Orthodox circles, but also from Roman Catholic ones. Roman Catholic ecumenical commissions studying the history of the Union of Brest and others have come to the conclusion that such "Unia" were historically wrong for the Roman Church to pursue as they divided Churches and peoples (see the Catholic Encyclopaedia on this topic). Roman Catholic scholars involved in ecumenism with the East have also dismissed the "Unia" as a model for any future Church agreements on unity. At least the term "Uniate" reminds me of my Orthodox heritage and ethos, and those of my ancestors before me, which should still be part of our spiritual experience as Eastern-Rite Catholics. Even His Holiness the Pope, in celebrating the 400th anniversary of the Union of Brest said that the Union is that old and did not make any statements about the "existing" union prior to AD1054. Why did His Holiness say that the Union is only 400 years old? Because he spoke the truth! Yes, the Churches were one in the first Millennium. The issues of the Filioque and others deriving from that fundamental issue in understanding the Trinity still divide us and must be addressed before a real resolution to Church unity can take place. As for Ecumenism itself, I find the Orthodox perspective much more spiritually refreshing than that of the Roman Catholic Church or the Protestant churches. The Orthodox will not water down or else compromise, or else be seen to be compromising, their Faith. My point is, if you believe that something is true, then don't try to hide the fact for the sake of ill-advised ecumenical "togetherness." This doesn't mean that ecumenical discussion can't take place. It just means that differences of faith must be taken seriously. I have met Roman Catholics who have left their Church over this and other issues. They are now Orthodox Christians of Western Rites. In terms of terminology to describe the Ukrainian Catholic Church, there is no accepted name for us. Originally, those Orthodox bishops and their flock who came into communion with Rome at the Union of Brest-Litovsk, were called either "Orthodox in union with Rome" or else "Greco-Uniates." I believe that the term "Uniate" acquired a pejorative connotation during this century as a reaction against "creeping Uniatism" and such expressions and feelings toward these Churches. As a term, it simply means "united." As a matter of fact, members of the formerly excommunicated Old Rite Orthodox Believers who came into union with the Moscow Patriarchate beginning in the nineteenth century were also called "uniates" or "United Believers." I can see "Uniate" being pejorative in the sense that it doesn't provide for an integral Church Identity for members of the Ukrainian Catholic Church. But, then again, neither does the term "Ukrainian (Greek) Catholic." Remember, that the term "Greek" in our title itself comes from the former "Greco-Uniate" term of the seventeenth century. Also, at the beginning of this century, "Greek Catholic" was a term adopted by many Orthodox communities in North America. "Ukrainian Catholic" or even the newly proposed "Kyivan Catholic" really does little or nothing, from my point of view, to underline our Eastern Church Identity and our historical, ecclesial roots. I prefer the proposition of others regarding the term "Orthodox Catholic." Russians in union with Rome refer to themselves this way ( I think they may even call themselves, "Catholic Orthodox"). In terms of theological, liturgical and other areas, there is minimal difference between our two Churches, although that "minimal" is still enormous enough to divide us. With the term "Orthodox Catholic," we can begin a real Eastern Rite reform in our Church with a beginning of an appreciation for the spiritual riches of the East. I don't want to be a "Uniate." I want to be fully Orthodox and Catholic from the perspective of the Church Fathers of the first 1000 years of the Church. Thank you for that excellent resources! I often wonder about that same fellow too! At the risk of arguing in a circle, "uniate" is an offensive word because the great majority of those to whom it is applied are offended by it. Since polite people address and refer to others by the names or technical designations which said others prefer, within some semblance of reason, the mere fact that the use of this word is perceived as offensive is reason enough to avoid it. By the same token, Nativity of Christ Old Rite parish in Erie is not at all pleased if someone calls them "iedinoviertsy". There is nothing etymologically wrong with that word, but since the parish finds it offensive, polite people do not apply it to them. If you can find any Western Rite Orthodox around, they too are offended if someone calls them "uniates". So it's best not to call them that. So it goes. I remember a truly hilarious Jules Feiffer cartoon several decades ago on the search by a particular ethnic community in the USA for an acceptable term. I was wondering about the "yedinovertsy" referring, of course, to the "United Believers." This is why I wrote to one of our papers up here to complain about an Orthodox priest who used the term "Uniates." One more thing if you have a minute. The Bila Krinitsa Old Believers have their own saints in their calendar. Why is it that the Old Believers in union with ROCOR have none? 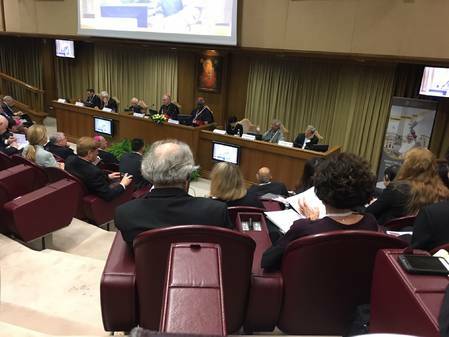 Is it a question of separate jurisdictions canonizing saints at their own leisure? Also, would it be possible for the Moscow Patriarch to receive Old Believer Saints into the general Russian Orthodox calendar, i.e. St Avvakum the Old Believer? 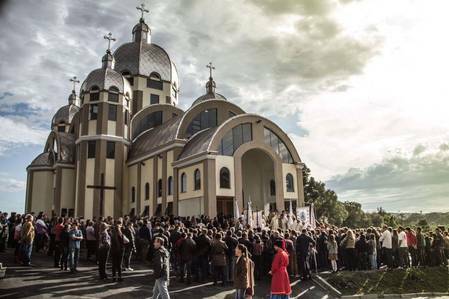 How does the MP view Bila Krinitsa and the other priested Old Believers today? In principle, many things are possible when it comes to the recognition of saints who acheived their divine favor under, ah, "controversial" circumstances. There are some interesting cases in presently used Church Calendars. In the specific case of the Old-Ritualists: I can't speak for the parish in Erie, but if you ask them which Old Ritualist Saints they receive, I'd be fascinated to know the answer. Since they were Pomortsy until they joined the Church Abroad, they might not be in a rush to receive Saint Ambrose of Bila Krynytsia, say. But best to ask them. The immediate question is simple enough: Moscow and the Church Abroad seem to be in the process of reconciliation. The Church Abroad will certainly not even tolerate any effort to inhibit the veneration of, for example, Saint John of Shanghai and San Francisco. How will Moscow react to this? I don't know, but I'm watching with keen interest. 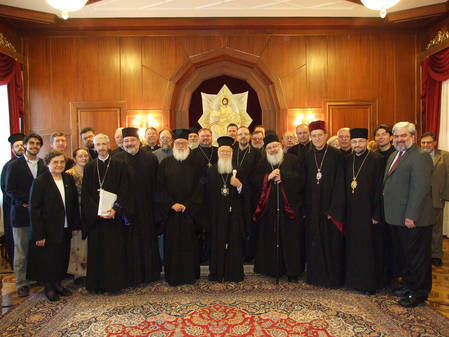 The Church Abroad has already expressed repentance and asked forgiveness from the Old Ritualists for the complicity of the state Church in Romanov times in the persecution of the Old Ritualists (for quite a few years now the Old Ritualists have been remarking with bitterness that the Communists did little more than implement the lessons taught by the state Church!). That in turn SHOULD make it possible for the Church Abroad to recognize the Old-Ritualist Saints without much cavil. In fact, the real question will be whether the Old Ritualists feel able to recognize Saints canonized by the State Church, the present Moscow Patriarchate, and the Church Abroad! To name just one: Moscow canonized Metropolitan Philaret of Moscow, who was one of the most determined persecutors of the Old-Ritualists; it seems quite unlikely that the Old Ritualists would care to be in communion with a Church venerating Philaret of Moscow as a Saint. To the best of my knowledge, the Patriarchate has yet even to hint at a recognition of the ordinations of the Russian Old-Ritualist Orthodox Church! The Church Abroad has not done so formally either, but it's clear that they do not question those ordinations any more. Here's an interesting tid-bit: when they canonized Saint Ambrose of Bila Krynytsia, Moscow paid no attention - but the Ecumenical Patriarch was favorably interested. Since the good Saint was in fact never suspended or otherwise reprimanded by the Patriarchate of Constantinople, there's nothing to stop the Phanar from receiving the canonization if they so desire. This reminds me of discussions I used to have with Fr. Serge Keleher - for hours - on similar matters! I asked a priest at Erie's Church of the Nativity and he told me that they don't receive any Old Believer saints - these would have to be canonized by the ROCOR hierarchy and could be, he said. 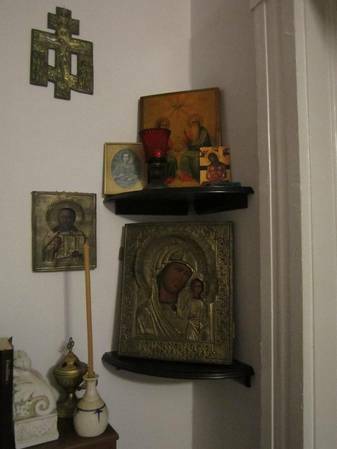 A Bila Krinitsa Old Rite friend of mine (with whom I worked to develop a short movie on Old Believer history in Ukraine) went into a "Niconian" Church to see if he could get me an icon I asked him for. He wrote back saying he looked and looked for it, but being in a "Niconian" church for that long upset his constitution . . . They also don't care for St Dmitri of Rostov, as you know . . . There is a fascinating book in Russian on the relations between St Seraphim and the Old Believers - which had its ups and downs. St Seraphim would take hold of an Old Believer's hand and form the three-fingers while saying, "Cross yourself like this!" (Krestysia Tak! Krestysia Tak!). But over time he came to be on good terms with them. There was a Russian article on the Moscow Patriarchate site that bemoaned the fact there are so few "Old Rite" parishes in the MP - and referred to the "two Rites" of the one Russian Orthodox Church. And mention was made of the possibility of approaching His Holiness the Patriarch to consider "co-opting" some Old Rite saints into the universal Russian calendar (without, of course, imposing any "Niconian" saints on them). But if the Orthodox and Catholic Churches can have Arian saints like Nicetas and Sabbas the Goths or Miaphysite saints like David of Garesja in their respective calendars, what is a zealous St Avvakum? The Church Abroad will certainly not even tolerate any effort to inhibit the veneration of, for example, Saint John of Shanghai and San Francisco. How will Moscow react to this? I don't know, but I'm watching with keen interest.